The Reducer mascot designed by Teo Edwin Gonzalez a pupil at Tollcross Primary School alongside local Community Police Officer Sacha Ponniah. Sunday’s Phase 1 ‘go live’ marks the start of sharing these benefits right across the Capital. Further information and a detailed map of the 20mph network is available at www.edinburgh.gov.uk/20mph or visit our Facebook page at www.facebook.com/edin20mph. 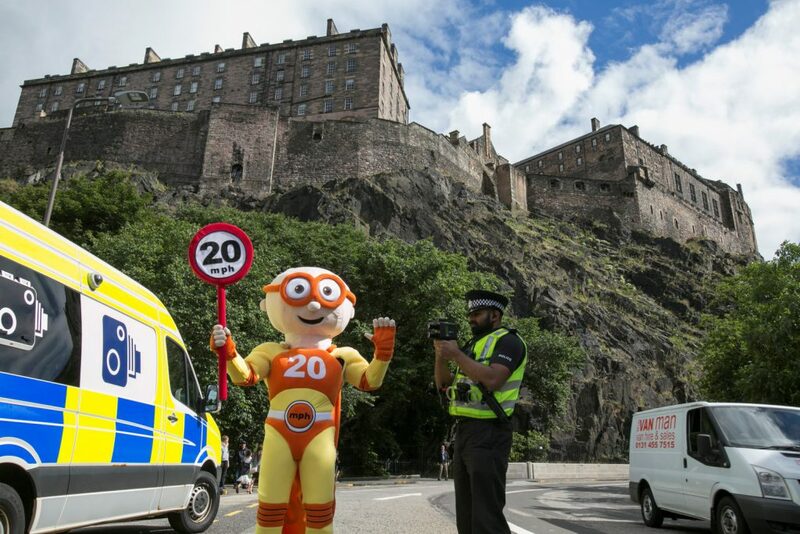 More about the design of the 20mph mascot ‘The Reducer’ by Tollcross Primary School – Teo Edwin Gonzalez can be found here.